Join Pepperwood’s Conservation Science Manager, Dr. Tosha Comendant and Research Technician, Ryan Ferrell, for a pre-lecture hike exploring Pepperwood’s Sentinel Site—currently in the process of being upgraded in the wake of the fires. 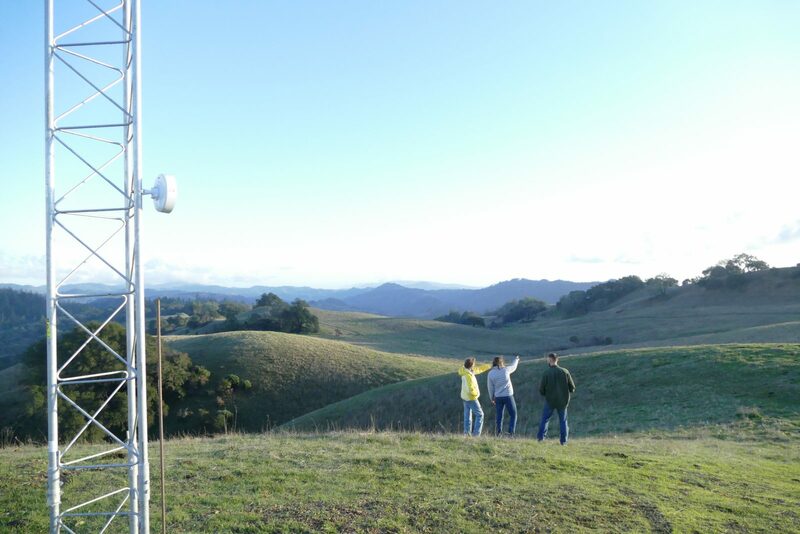 Members will have the opportunity to get up close and personal with our longest running soil and meteorological monitoring systems, fire cameras, as well as catch a first look at Pepperwood’s new radio network that allows us to disseminate real time data. Please meet at the Dwight Center court yard for a brief introduction. We will then be walking to the Bechtel House, then driving to Hill 1524 as we give an in depth look at our various instruments. Space is limited. Please RSVP early to Sloane Shinn at sshinn@pepperwoodpreserve.org or (707) 591-9310 x 133. Not yet a member? Click here to learn more!